Beachbody on Demand All Access gives you online access to over $6,000 worth of workout programs, meal plans, fitness guides and support! 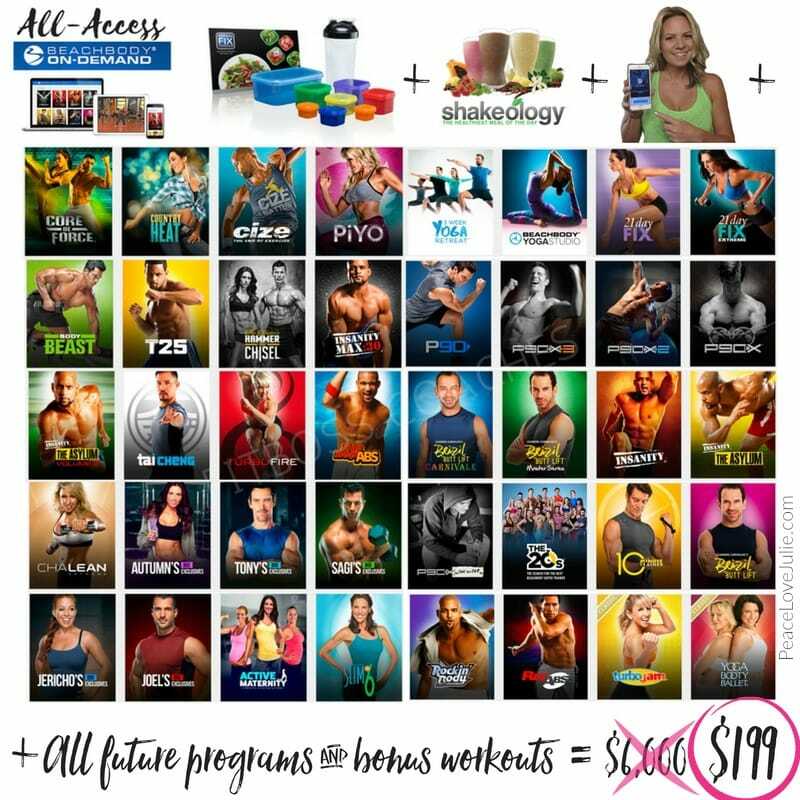 With Beachbody on Demand All Access, you will have a full one year access to over FORTY full workouts.... including ALL bonus and deluxe workouts, fitness guides and meal plans AND all future 2017 new releases! This is even including my all time favorite workout, the 21-Day Fix, and Beachbody's newest release, Core de Force! This will make it easier than ever to find your soulmate workout! Try a workout. Don't love it? I can help you pick a new one from your library! It's already there waiting for you so you don't have to purchase anything new. It's like the Netflix of fitness! ME as your coach - never underestimate the power of having a coach to guide and support you!